Game: Crash Bandicoot 3 Warped! 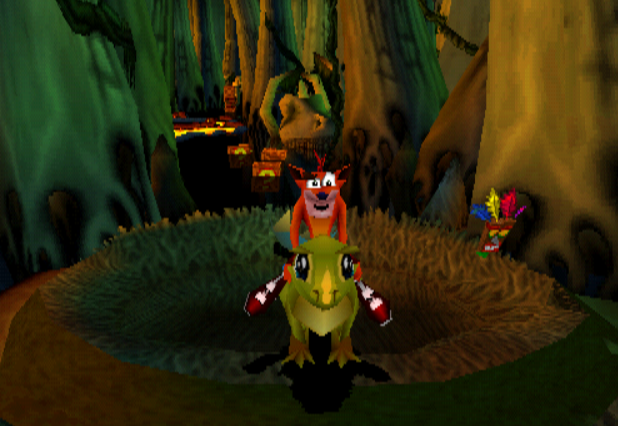 Random Fact: This is the first (of only 2) levels in the game where you can ride the baby dinosaur. His name? It’s Baby T! Riding Baby T is so much fun. And he’s so adorable. What is it with Crash Bandicoot making just the cutest animals in their video games?? Riding him in this and also the secret level, Eggipus Rex, is great because he’s very fast, jumps very high, makes the cutest noises and tramples down tall grass. Of course if he gets hit then he disappears, which makes that section of the game a bit more difficult. Yes that is the main reason why Dino Might is included this high in the list! Simply because Baby T is just so cute and makes this level very entertaining.